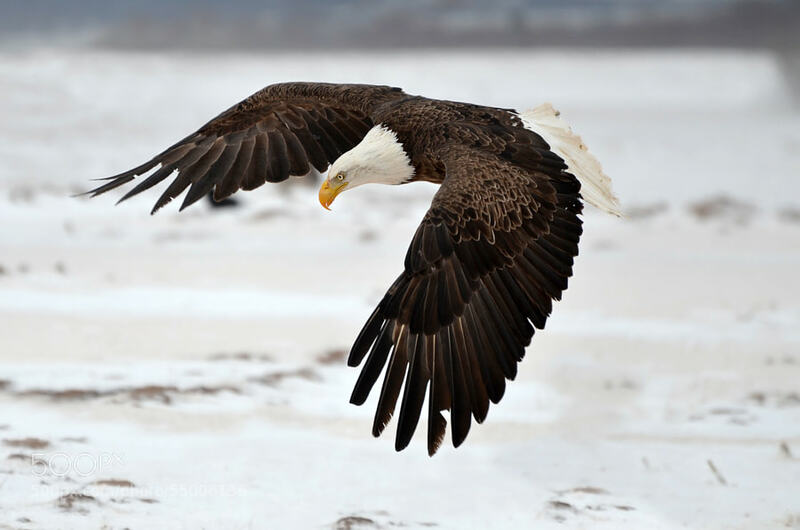 Last week I had a hard time keeping my eyes on the road as my real estate client swiveled and marveled and almost insisted I pull over to view what has become a not-too-uncommon sight in Columbia County – the magnificent flight of our nation’s symbol. I’m old enough to remember an episode of Mutual of Omaha’s Wild Kingdom concerning the debate of whether our last remaining bald eagles in the wild should be captured to preserve them before their extinction. I honestly never thought I would see a bald eagle in the wild, and I didn’t think about it again for the next thirty years. My first sighting was about four years ago while riding across my neighbor’s property, and just like my passenger last week, I was truly incredulous. I cantered my horse faster to keep the giant bird in view just so that I could verify again and again what I was seeing, a white head, white on the legs, and an unbelievably giant wingspan. When I returned to the house I googled the finding, and sure enough, I learned that there was a nesting pair not two miles from Broad Reach Farm. A sighting is still rare enough to make me take extraordinary notice every time, but I’ve had enough of them now that I can spot them more readily. I haven’t been myself, but apparently there is a place on the Hudson River where you can often see a dozen of the mighty predators fishing in the confluence of a tributary with the river. It would be worth the trip, and I only wish that I could bring Marlin Perkins with me. Yesterday’s Wall Street Journal featured a story about the American Week of Lazy between Christmas and New Years. Apparently across the country, millions spend the week primarily on their devices, eating carryout, and sleeping. Here in Columbia County, the week of lazy is pretty evident too, but it certainly is different than the Journal’s image. On Broad Reach Farm, I know we are well into the week of lazy when I can start the fires in the morning simply by brushing away a top layer of ash and heaping some paper and kindling on the still red hot coals from the night before. The stones are still hot under my hands, radiating into the cold room. The fires are roaring within minutes, and everyone feeds them all day long, because everyone is home to do it. I know fires are raging in other houses because when we go out for long walks down the country lanes, the air is tangy with woodsmoke and in the low lying areas you can occasionally see a small cloud of smoke hovering amongst the trees like a scene from A Christmas Carol. The Journal reports that exercise enthusiasts use the week of lazy to exercise more than ever, and perhaps I do see more bicyclists clad in neoprene whizzing along the roads, but mostly I see everyone walking. I try to walk every morning, but its usually jammed into the fifteen minutes between barn chores and real estate appointments or driving the children, and sometimes that fifteen minutes vanishes altogether. I rarely see anyone else on my walk. This week though, all my neighbors are out on the roads, and with them are children, dogs and houseguests, and everyone has the luxury of time to stop and chat about their holiday. Often those chats lead to a cup of coffee in front of the fireplaces, and those impromptu visits simply augment the social scene of the week of lazy in Columbia County. Where the rest of the world is ordering carryout, here the fabulous kitchens all seem to be in full swing, and there are too many luncheons, open houses, sledding parties, and full scale dinners being hosted to attend all the invitations. If we weren’t all walking so much, we’d be too supersized to get back in our cars at the end of the week. I’m sorry to see the week coming to an end. Yesterday I took my oldest son back to the airport for his return to LA, and I was sorry to see him fold up the Irish knit sweater he had worn all week and put it back on the shelf in the closet. It will be waiting for his next visit and it will still smell like wood smoke. I hope the week of lazy never changes here. For the past twenty years, I have witnessed Mother Nature’s inexorable reclamation of pasture and crop fields that took the residents of Columbia County nearly 200 years to clear and maintain as productive agricultural land. In the 1800’s it was a ten year commitment to tame a field, clear the trees, defeat the undergrowth, and augment the soil with animal waste until it was ready to produce a crop. It takes Mother Nature far less time to render that acreage unsuitable for anything but the hardiest animals, and in a mere twenty years she can see a productive field turned into a young woodland. Nature’s most effective and first assault is the burdock plant. Armed with a thorny shell, the burdock seed adheres like gorilla glue to any passing fur or cloth and was, literally, the inspiration for Velcro. While the burdock plant thereby spreads its seed as far as its host might suffer the seed pod remaining attached, the plant itself is no less tenacious. Burdock grows a root like a tentacle into the bowels of the earth, and should some human wish to extricate it by attempting to dig it up, the perennial root will regenerate from only a tiny shred of the massive root. The only way to defeat burdock is to mow it down, season after season, until it finally dies off without the benefit of producing its prickly seed pods. One season of a field left fallow is sufficient to allow the burdock to become insidious, and by the second season the second round attack will begin: wild roses proliferate, and honeysuckle follow not far behind. Both may be shallow rooted but their rapid growth soon makes them nearly impossible to eradicate without a chainsaw, and in the shelter of their massive canopy, the seeds of hardwoods and wild cedars are quick to gain a footing. By season four, the field left fallow will barely resemble the field once farmed. This is what I have witnessed over the past twenty years: one field after another turning unrecognizable. When I was a child riding my horses in the suburbs of Washington D.C., I saw my horse pastures also taken over, but they disappeared into subdivisions and malls, without a pause of overgrowth. Where a pasture gate hung in July, a newly paved road was opened in May. I confess I preferred the Columbia County method of losing land to that which I witnessed in Virginia. However, the past year has been a revelation. I have watched three large pastures being reclaimed over the past year, not by Nature, but by farmers, diligently doing as their predecessors did 150 years ago, mowing, cutting trees and reclaiming the fabulous soils of Columbia County to produce for the tables of New York and beyond once again. Even more interesting has been the process by which it has been done. Kinderhook Farm undertook a massive project, cutting down a stand of non-native pines that were planted across Columbia County in the 1970’s as a potential cash crop which proved to be not worth the money to harvest. Now that these pines are dying off on their own, Kinderhook Farm undertook the clearing project to return those acres to pasture with the help of massive bulldozers. On Route 217, there is a more primitive process underway. There a small organic farm took hold on acreage long ago abandoned for farming. First fencing appeared, seemingly around nothing worth fencing in, but inside the fence were goats and sheep who gradually chewed back the undergrowth until eventually grass reappeared and now there is enough for a few hardy ponies and a cow or two. Travel further north, and along 203 there is a large pasture that was once planted in corn and hay, but for four years had been rarely visited with any agricultural effort. Just over the past summer, the field was mowed repeatedly, and even a crop of cattle hay round baled. Just in the past weeks, fencing was installed and the pasture now looks ready to productively house a small herd of Columbia County’s newest cash crop: grass fed organic beef. If the economy of food production means that our fertile fields in Columbia County can now support the farmers that would work them, it can only be a good thing for the people and the land of Columbia County. Come to the county and see what organic farming is doing to help us retain our agricultural heritage.